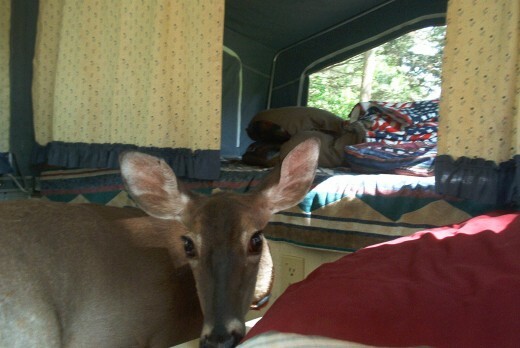 A fun story about deer camp and how a deer takes over. 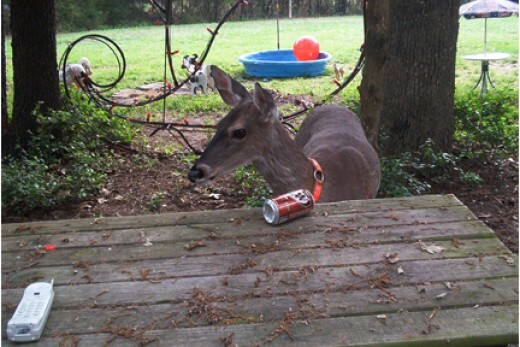 What really happens when hunters leave their camp? Does the fire get warm and the beer get cold? Well, maybe, unless they are set up in the area close to Tinkerbell. It is likely that they could come back,and find, like Goldie Locks did, that somebody's been sleeping in their bed. 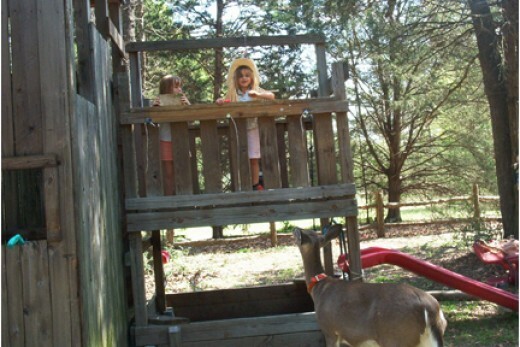 Tinkerbell was my pet deer that I raised from a baby. She was not shy about joining in on what ever was happening. Enjoy the story of how she made her self at home. It is place for hunters to gather. 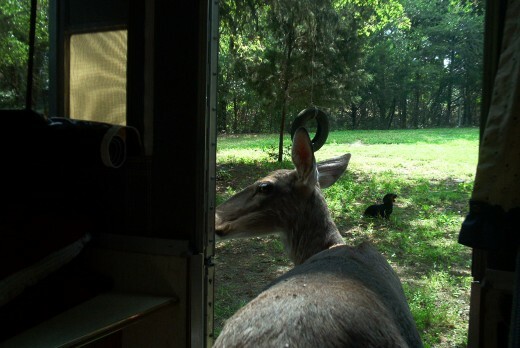 They eat, sleep, hunt and share stories with their hunting buddies around a campfire. 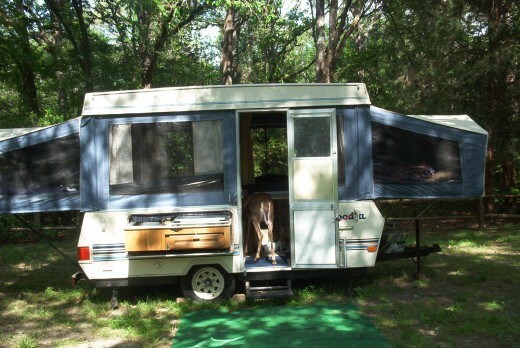 They can be an elaborate all inclusive guided retreat or just a little place in the woods with a camp trailer or homemade shelter. I have been to both, and when it comes right down to it, either one is still a place to eat, sleep, hunt and sit around a campfire. It's just a matter of preference and money after that. 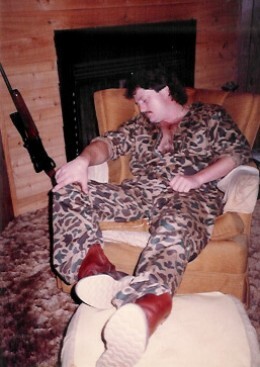 Some people have their own acreage to hunt on and their house is basically the camp, while others seek out deer leases. Depending on what you want, a lease can be for the season or an entire year. 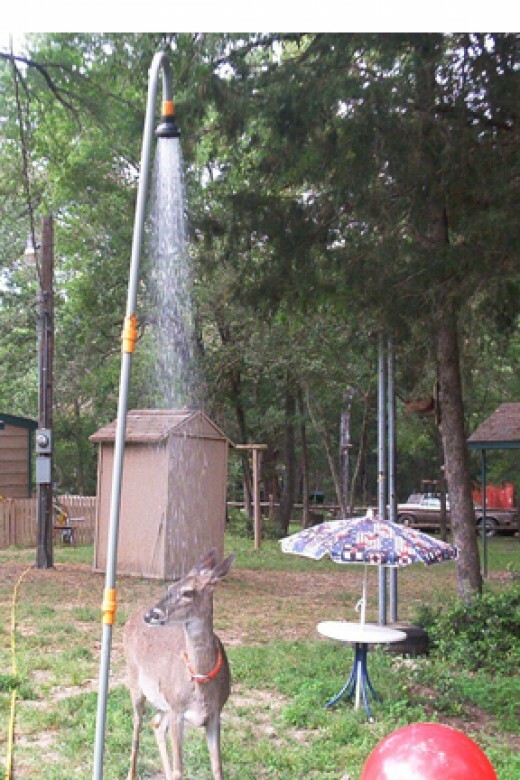 Some hunters prefer the year long option if they want to hunt other animals and leave their things in place. 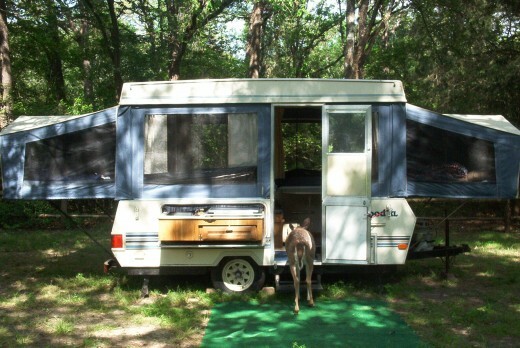 This is the camp trailer that was at my husbands deer camp before he brought it home. We set up the trailer in the park area at our house so that the kids could pretend they were camping. Before long, Tinkerbell showed up with her kids ready to take it over. 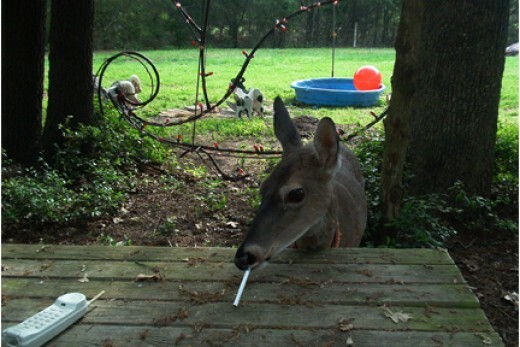 If you have read my story, Raising a Whitetail Deer - The Tale of Tinkerbell, you might expect what would come next. Tinkerbell had to have a look around and see if this would be a good place for deer to camp. 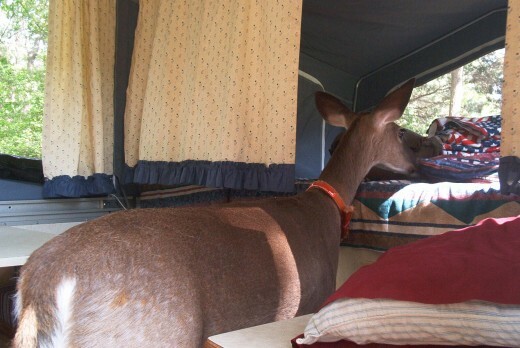 I never told Tinkerbell what a deer camp really is.